I was trying to think of another Pokemon to make on my own and being a fan of Gold and Silver, I looked over the Pokemon from those games pretty extensively. 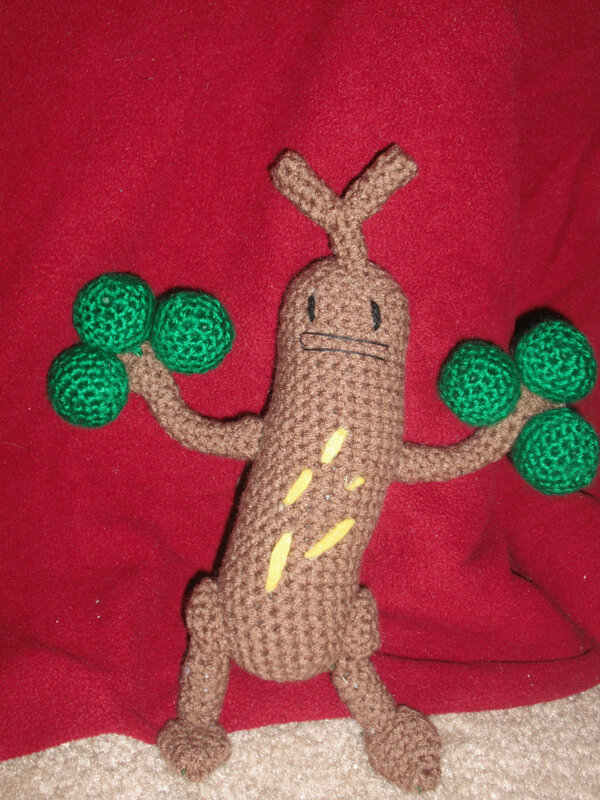 I have my list of possible future projects and out of it I picked Sudowoodo. He seemed like the easiest to try but looked pretty cool too. (Not, to mention that I have him in the game) The little kids at my PDS(the school I student teach at) would love this. They ask me all the time how to find and catch a Sudowoodo. Overall, he was pretty easy to make and an enjoyable third creation. Attach top of leg to body, then attach leg to the food and then sew the completed part on to the top of the leg. Sew arms to body( I inserted wire to ensure that his arms would hold up his balls and his arms), attach 3 balls to his arms as shown in the picture. Attach Straight Head Branch (the smaller one with 4 sc) to the top of the head. Then attach the other two branches as shown. Sew on face and felt accordingly. 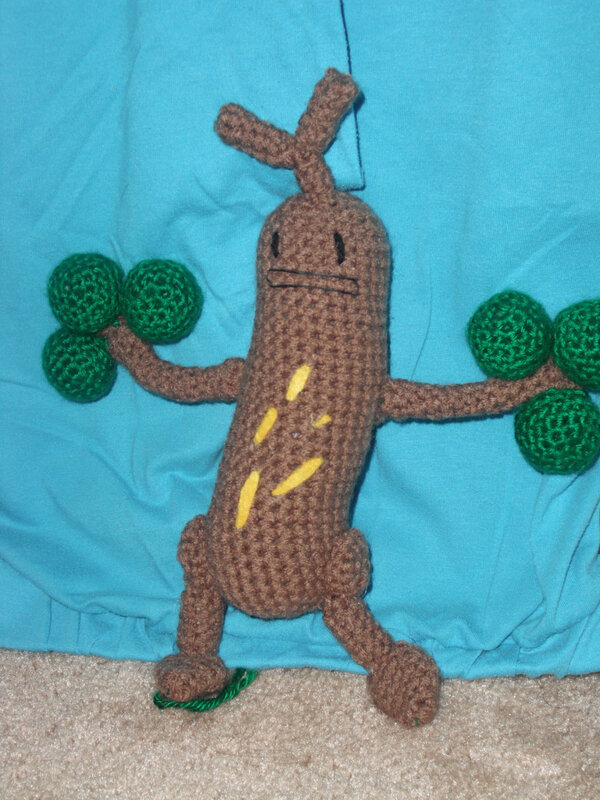 Sudowoodo and Pokemon are copyright Nintendo.